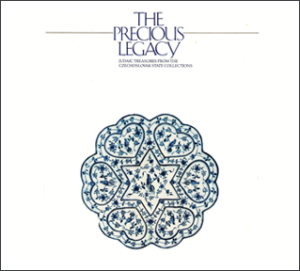 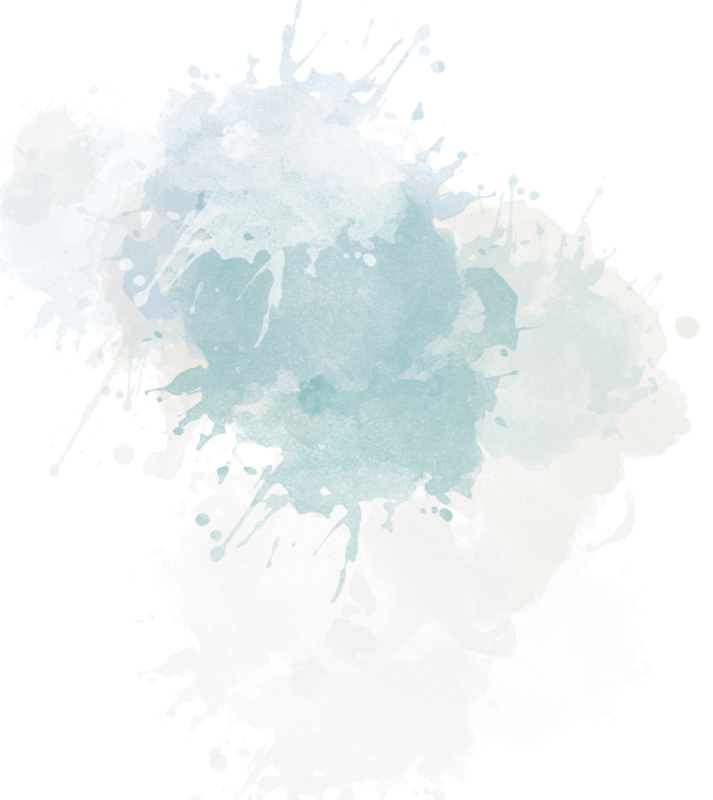 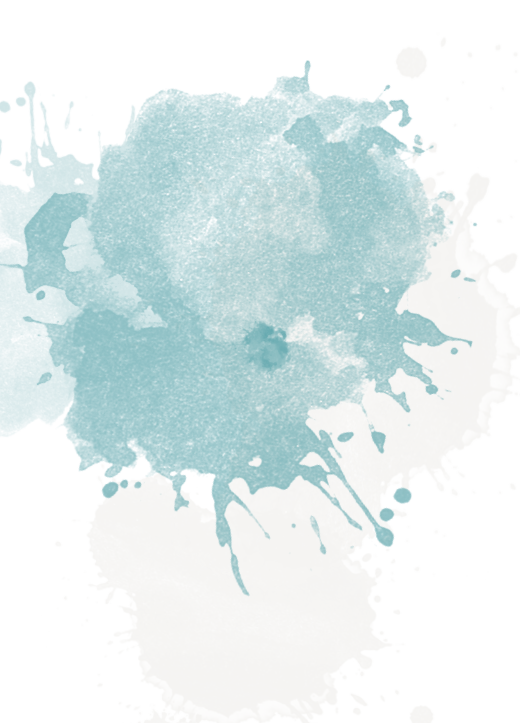 THE PRECIOUS LEGACY - Carole Sorell Inc. 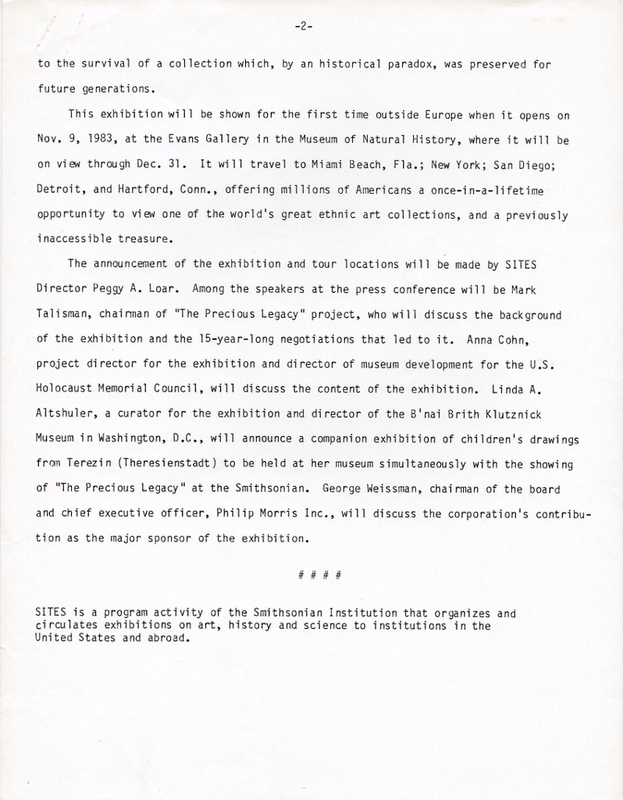 The Smithsonian Institute Traveling Exhibition Service will hold a press conference on Monday, September 19, 1983. 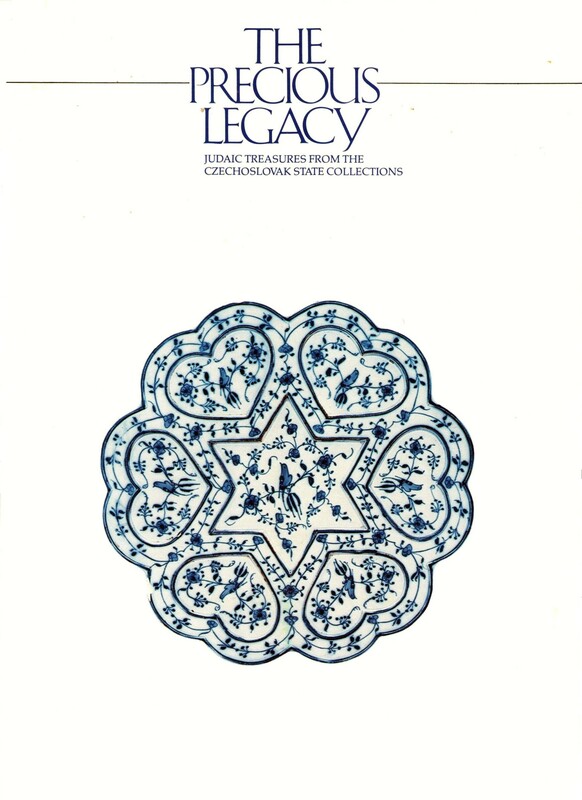 Drawn from one of the largest and most significant collections of Judaica in the world, these objects illustrate the vibrancy and continuity of Jewish life from the Middle Ages to the 20th century, and they were preserved by an ironic twist of fate. 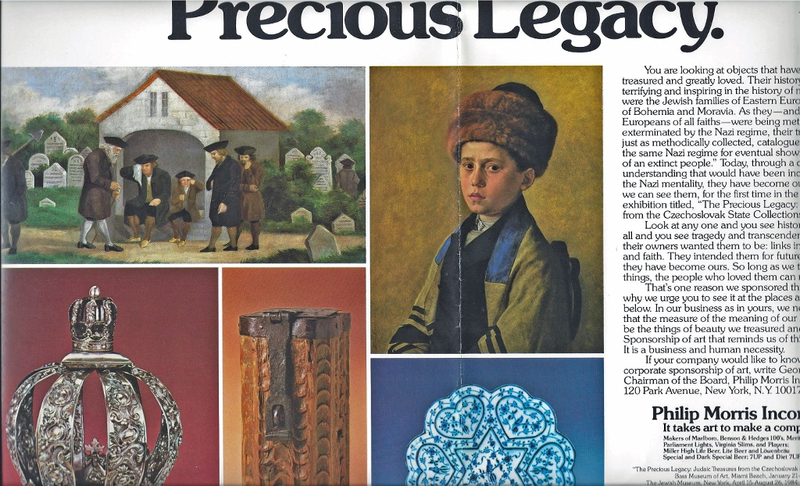 The Holocaust destroyed 90 percent of European Jewry’s material culture. 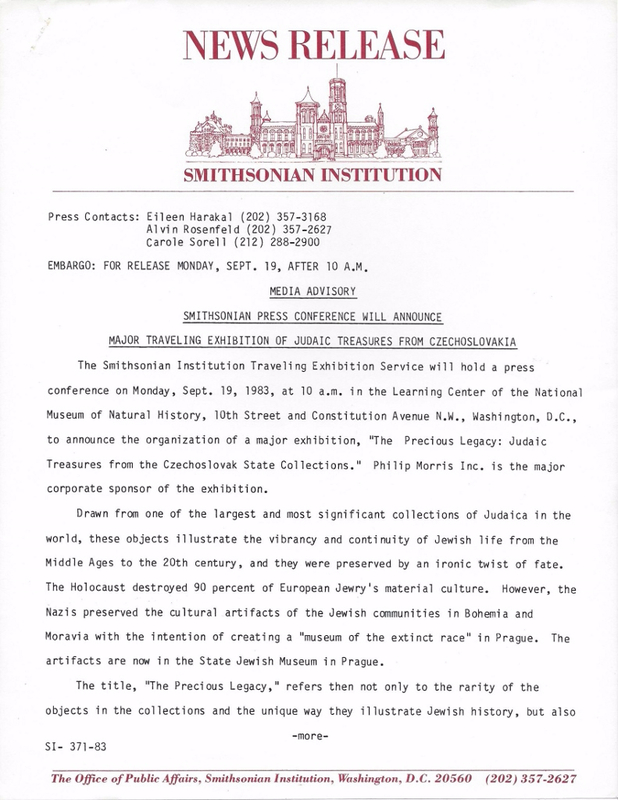 However, the Nazis preserved the cultural artifacts of Jewish communities in Bohemia and Moravia with the intention of creating a “museum of the extinct race” in Prague. 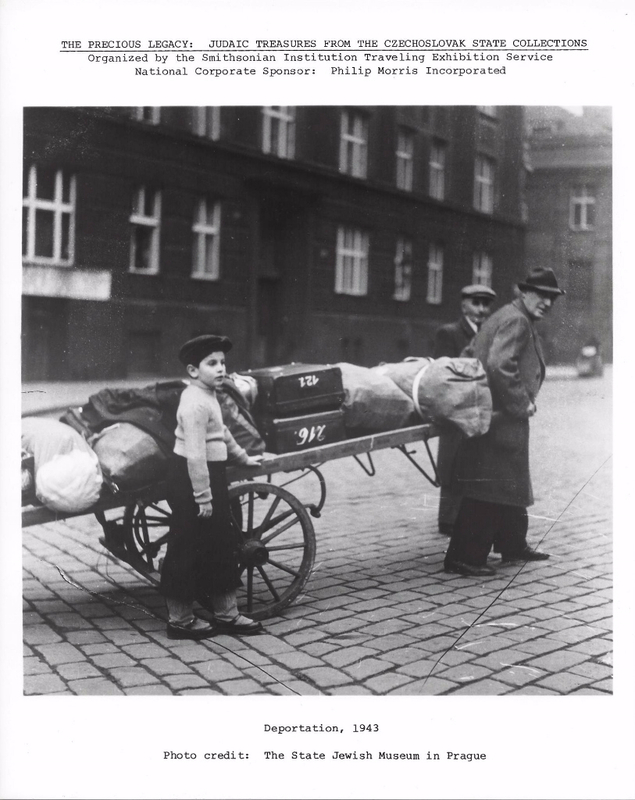 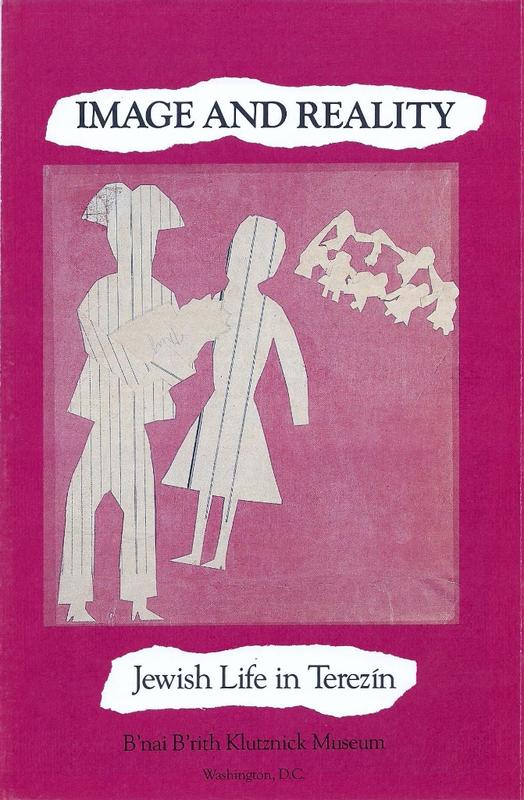 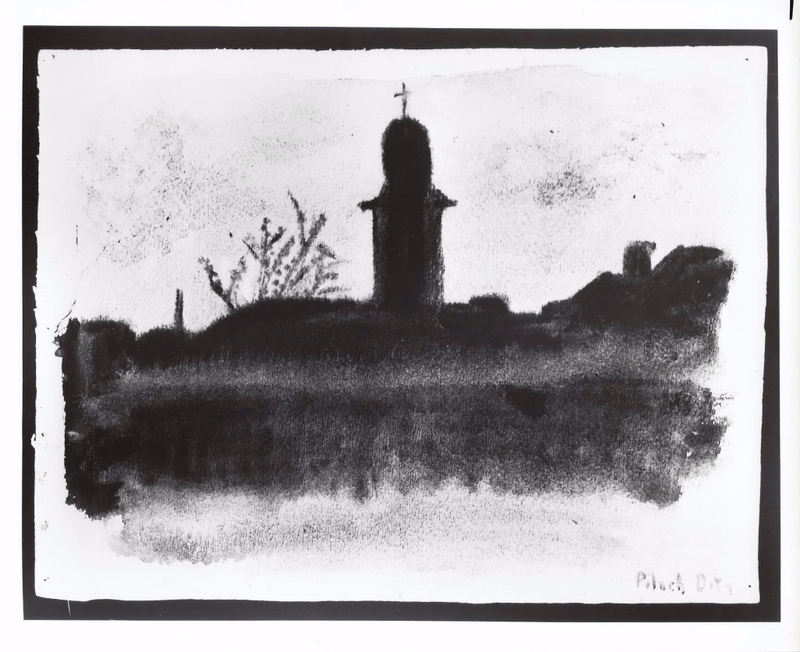 A companion exhibition of children’s drawings and other objects from the Terezin concentration camp – – to be viewed simultaneously at the B’nai B’rith Klutznick Museum – – will add a poignant dimension to the Washington event.